The weekend of 14-15 July saw a troop of Vikings make the trip north from Canberra to Sydney for the Masters Swimming NSW (MSNSW) relay meet, held in Short Course format at the iconic Sydney Olympic Park Aquatic Centre (SOPAC) on Sunday 15 July 2018. In the absence of a few of our more seasoned competitors, the Vikings team (with some supplementation from our friends at Molonglo) consisted of six women (Anne Smyth, Ann Reid, Jeanette Droop, Kris Kennedy, Annette Britten and Helen Morris) and seven men (Al Byrne, Nick Thorne, Jon Collis, Gary Stutsel, Richard Phillips, Tom Boyce and Kim Beamish). Naturally, we had to make a social event of the weekend, with most of the team spending the night at the Travelodge motel adjacent to the Workers Sports Club in Blacktown, thanks to co-ordination efforts of our absent President, Greg Gourley. A couple of our ladies were lucky enough to be invited to stay with a Viking recently moved to Sydney, so they didn’t join us, but – after a scenic drive up the coast – they apparently arrived at their destination a bit earlier than expected, thus there was no-one home to let them into the house. Readers are invited to ask Annette or Jeanette exactly how they got in! Besides bumping into a famous cricketer in the club, and ordering way too much dinner, the rest of us enjoyed an uneventful stay until the following morning when one learned the hard way that the club’s underground car park is locked until 10:00AM! Bugger! Once the escape was achieved, everyone made it to the venue with time to spare. As seems to be the case every year at this particular event, the atmosphere and the buzz of the big crowd of enthusiastic swimmers and supporters made for a great day in and out of the pool. 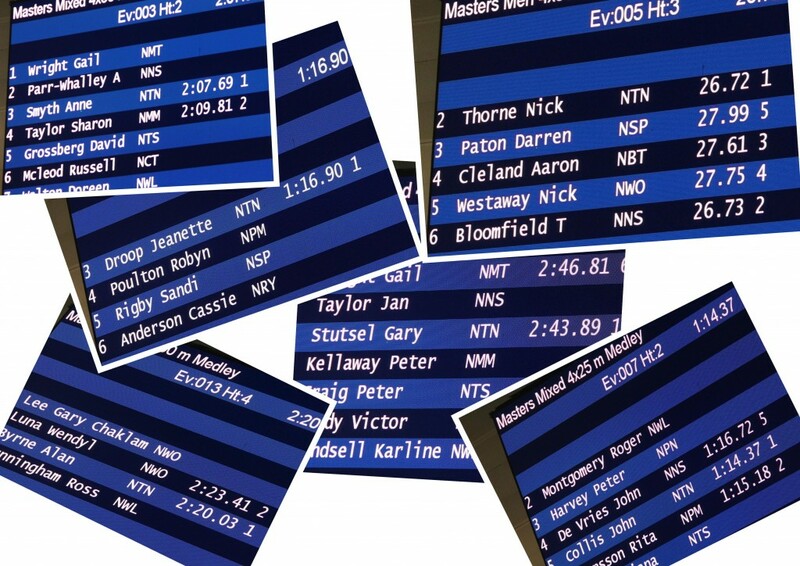 With only one exception, every Viking swam their maximum allowable number of events, and, as well as actually winning a few heats (see full event results here), almost everyone bettered their Personal Bests or seed times – some by a significant margin! It was particularly impressive to watch one of our more senior breaststrokers put in a great effort to overtake the competition, taking the lead in his heat at the very last second! Notably, during the presentations, Jon Collis was kind enough to accept a certificate on behalf of fellow Molonglo Water Dragon Geoff Llewellyn, who had, during National Titles at Perth earlier this year, set a new age record for 800 metres, as well as collecting several other medals. Well done Geoff! Despite most of us only swimming a total of about 500 metres of actual competition for the day, a great day was had. For those that haven’t been inclined to have a go at a Masters competition meet, this one is the one to try – the atmosphere generated by a couple of hundred enthusiastic swimmers actually makes the frantic pace of the day and the organised mayhem of the marshalling area exciting! 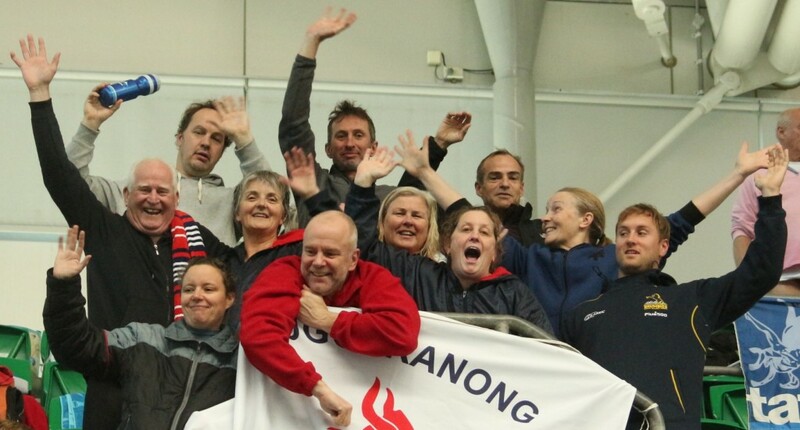 This event really does put the ‘fun’ into the Masters Swimming motto of ‘Fitness, friendship and fun’. And, finally, a very sincere thank you to a couple of partners-of-Vikings, who, besides supporting their own partners, gave excellent support to the team as a whole and to the meet. Genuine thanks to Paul Kennedy for his photography efforts, and to Peter Sharman for spending almost the whole day timekeeping down on the pool deck! Your efforts are very much appreciated. Posted in: Competitions, Results, Social.